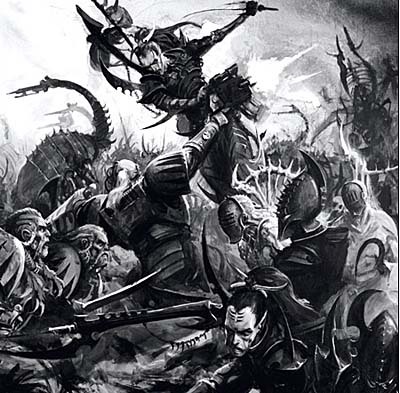 There's a ton of stuff about Dark Eldar out there. More than any one person could keep track of. Here are a few things from FTW Blogger Group members that might help you with getting to grips with the new Dark Eldar. It doesn't matter if you're looking to field them or defeat them in combat, from modeling to painting, there's bound to be something here to help. Want to contribute to this post? If you're a blogger and you've got your own Dark Eldar related post, send me the link by email and I'll add it here. Click on the title of the article to jump to the full story. EDIT: Check back regularly, this post will have articles added to it as they are submitted by Bloggers.